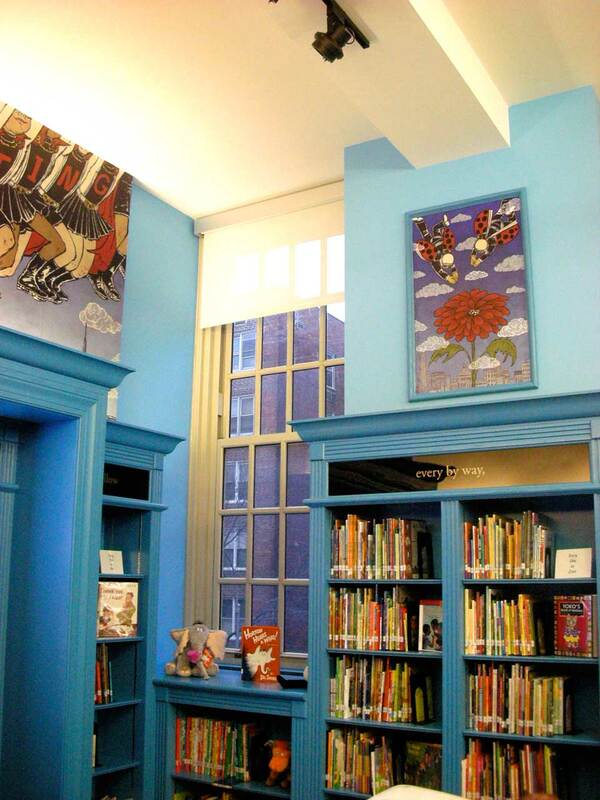 Robin Hood Foundation is an organization to fight poverty in New york City. 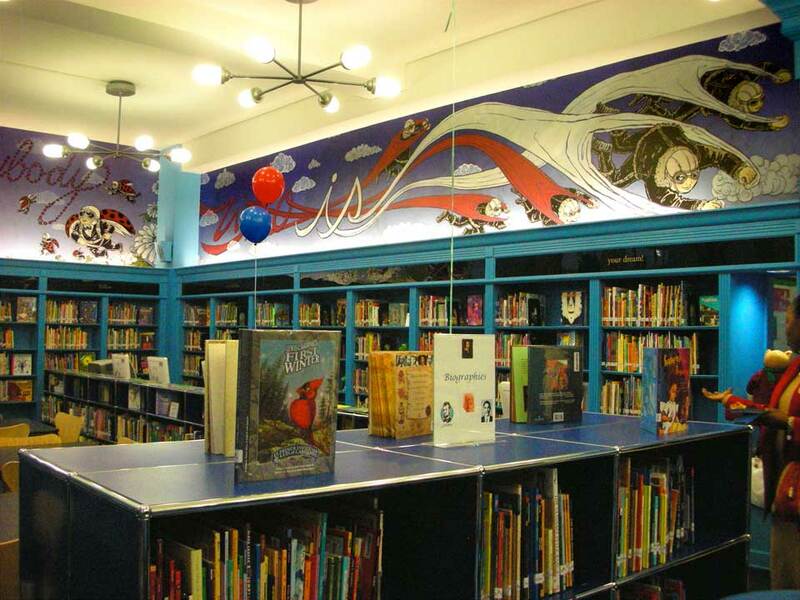 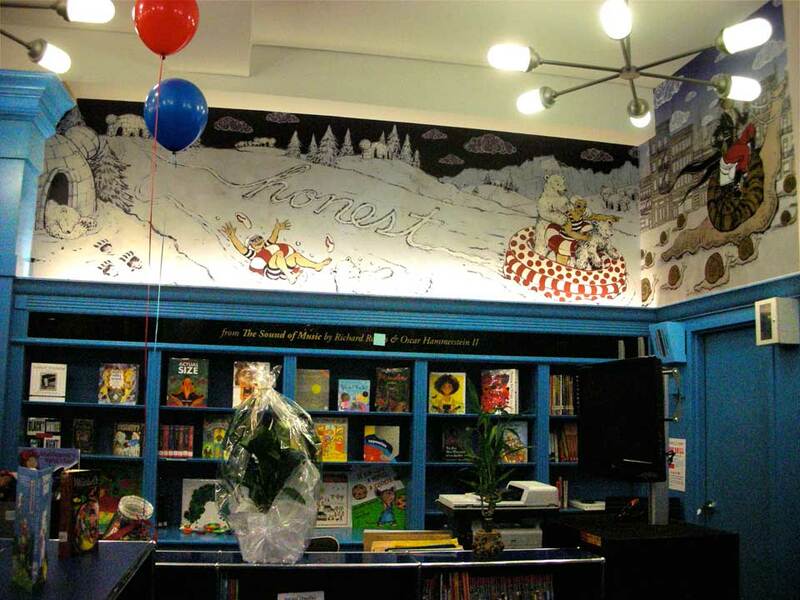 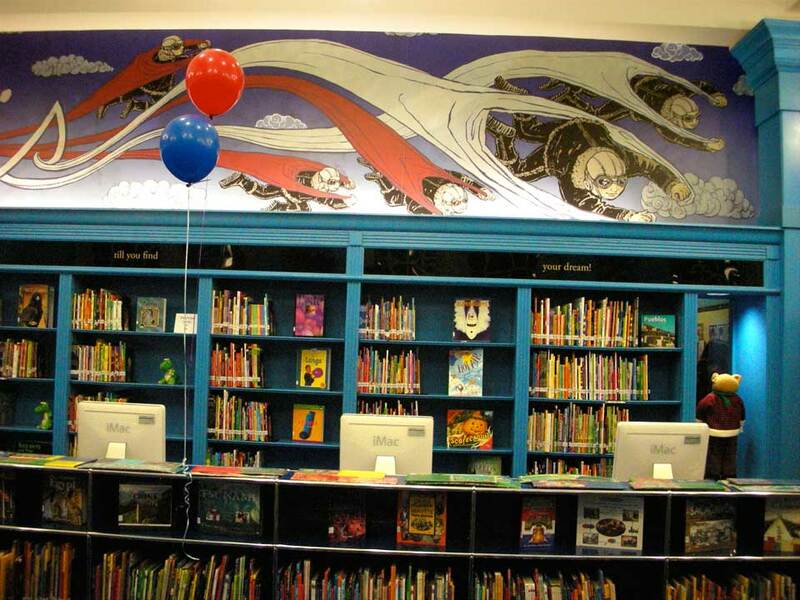 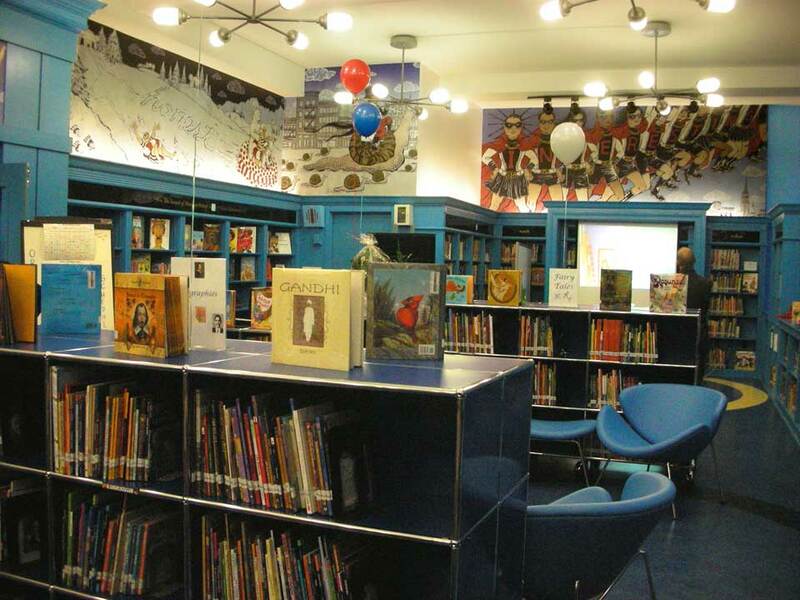 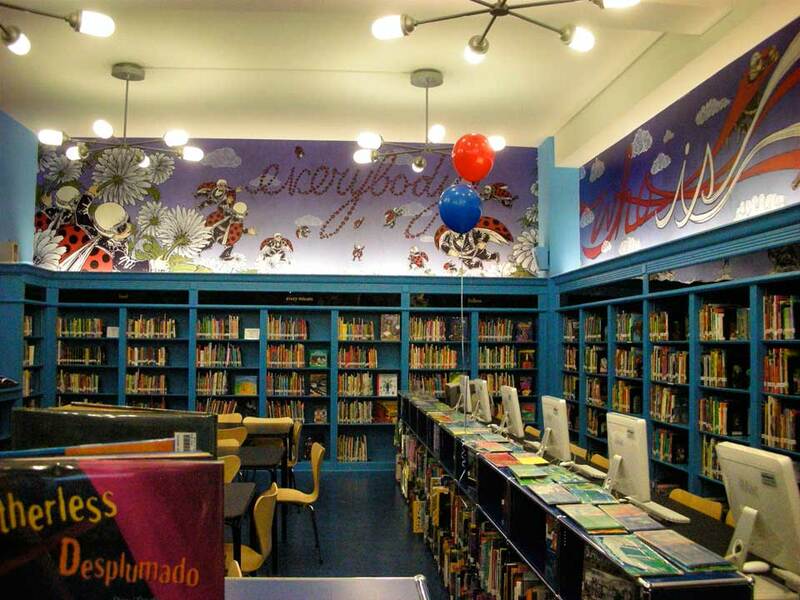 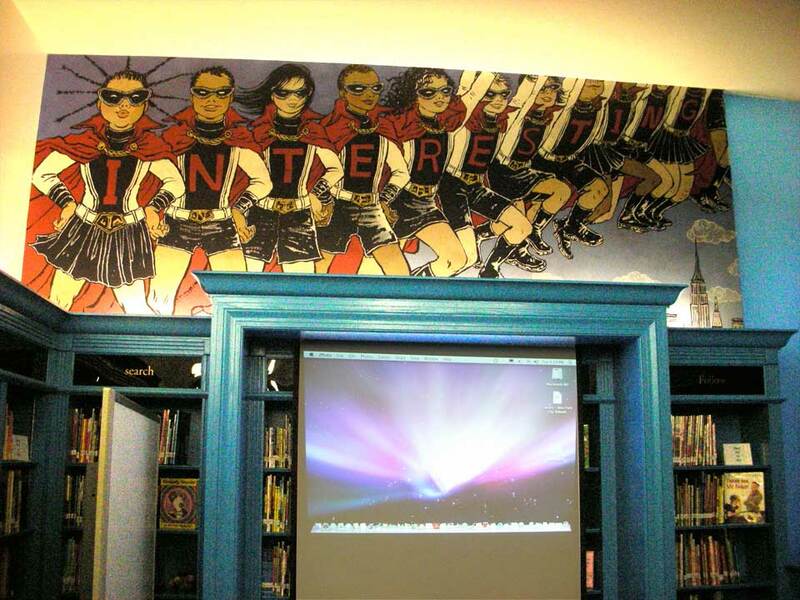 This 11 panel mural was created through their L!brary Initiative, to donate libraries to underfunded public schools throughout New York City. 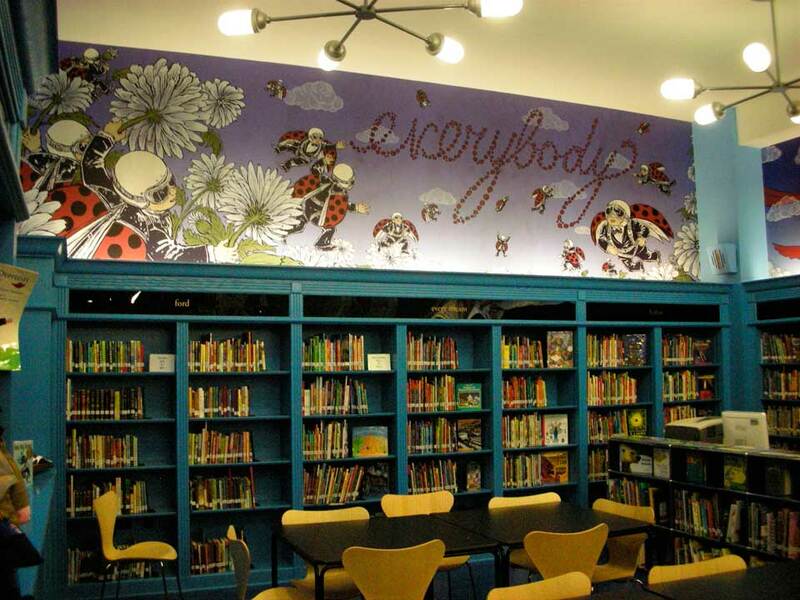 This 11 panel mural in collaboration with designer Stefan Sagmeister and Pentagram. 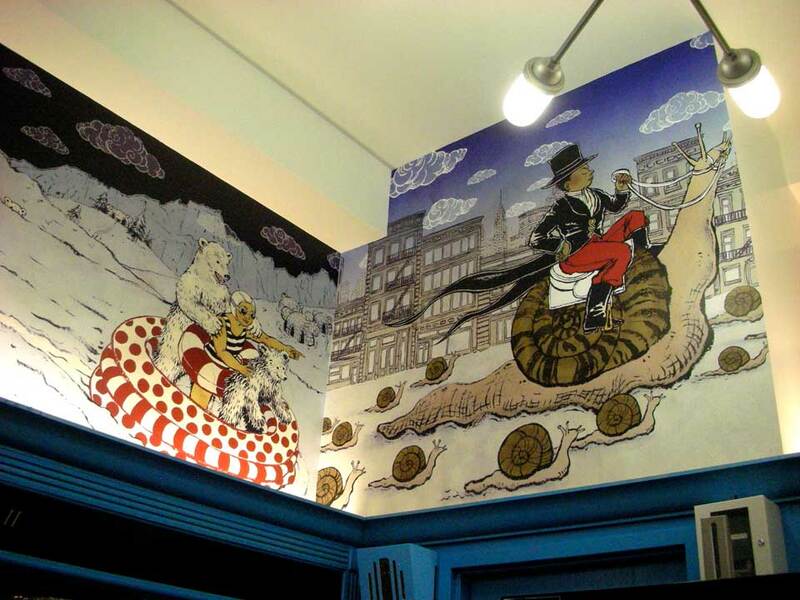 Panels were finished digitally and applied to the walls as vinyl film. 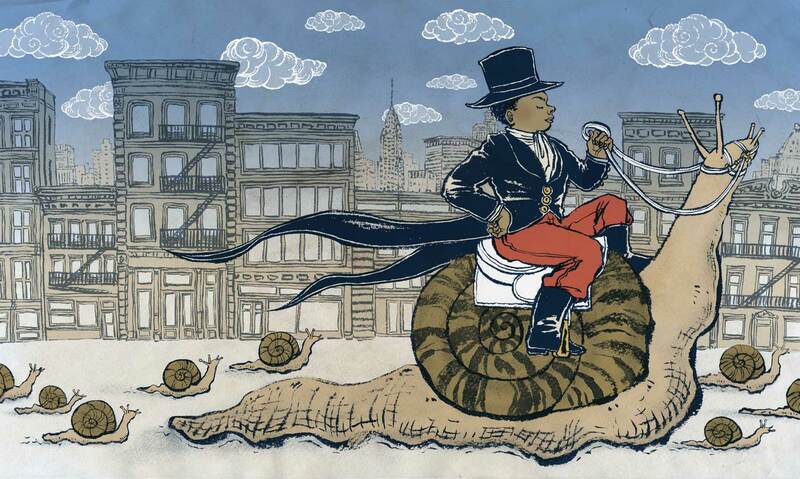 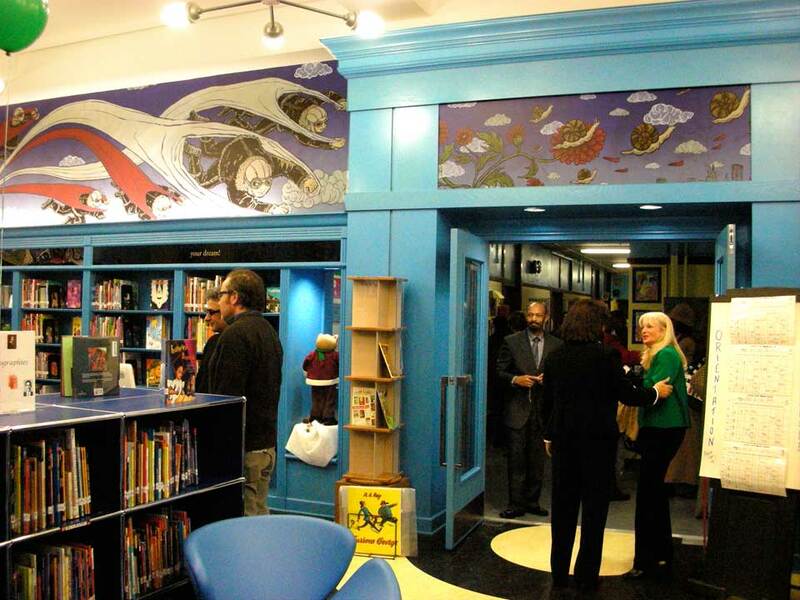 The mural was inaugurated in PS96 in the Bronx, New York, in January 2009.